Lab suppliers who sell green university lab equipment may be interested in marketing their environmentally-conscious life science solutions at the Biotechnology Calendar, Inc. life science marketing event held at the University of Oregon, which has been ranked one of the greenest universities in the United States. The Princeton Review, a well respected admissions consulting and test preparation company, has ranked the University of Oregon one of the greenest universities in the country in a book recently published. The University of Oregon has a well-renowned environmental law program and was the first university in the nation to offer a green chemistry curriculum. To rank the American schools, The Princeton Review partnered with the U.S. Green Building Council, a nonprofit organization famous for developing the LEED green building rating system. “We’ve teamed up with The Princeton Review for the fourth year running to bring today’s environmentally-minded students the ‘Guide to Green Colleges,’” said Rachel Gutter, director of the Center for Green Schools at the U.S. Green Building Council. 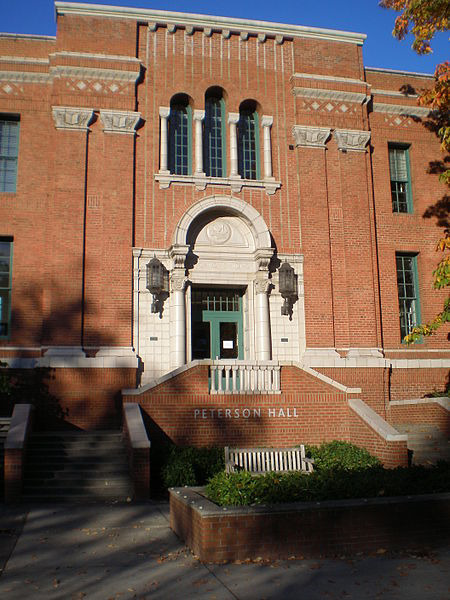 Since 1997, the University of Oregon has implemented a green organic chemistry laboratory curriculum. Some of their innovations include a method of extracting limonene from orange peel, environmentally sound approaches to the bromination of stilbene and groundbreaking work that highlights solventless and aqueous reactions that serves as an example of green chemistry solutions. In 2011, the University of Oregon partnered with another Oregon university received a $20 million grant from the NSF to work towards creating greener chemical processes. Sustainable Business Oregon reported that the university would focus on the creation of water-based processes that may be useful in electronics manufacturing and making renewable energy materials. According to the Daily Emerald, more than half of people applying to college look for a school with strong environmental ethics and green campus initiatives. This is the fourth year that the Princeton Review has produced its list of green universities, and it’s also the fourth year running that the University of Oregon has made the list. If you are a biotechnology vendor interested in marketing green life science solutions and university lab equipment at the University of Oregon, Biotechnology Calendar Inc. invites you to attend one of our life science marketing events in Oregon. Our Eugene BioResearch Product Faire™ Event will be held at the University of Oregon campus on September 10th, 2013. Biotechnology Calendar, Inc. is a full-service science research marketing and event-planning company that has been organizing life science events at top research universities across the country for 20 years. For detailed funding statistics on the University of Oregon, click on the button below. If you are interested in attending a trade show closer to home, we encourage you to check out our 2013 calendar of events.